Stunning solid 9k stud earrings. 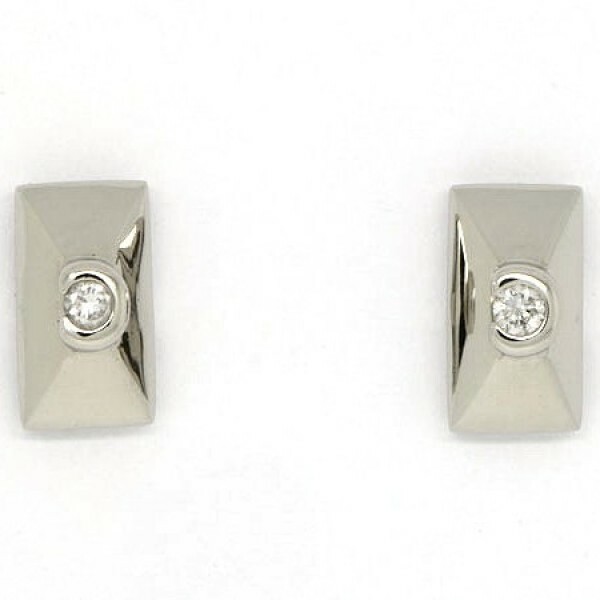 These studs feature diamond centers and are crafted of 9k white gold and secured with post and backs. Elegant and suitable for every occasion.